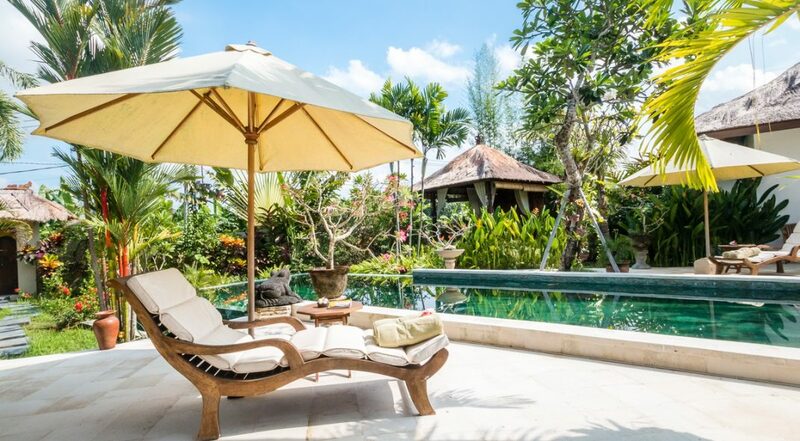 From $ 268AUD per night We have direct contracts with most villa owners. We don't add any booking fees. We are 100% transparent with no nasty surprises. 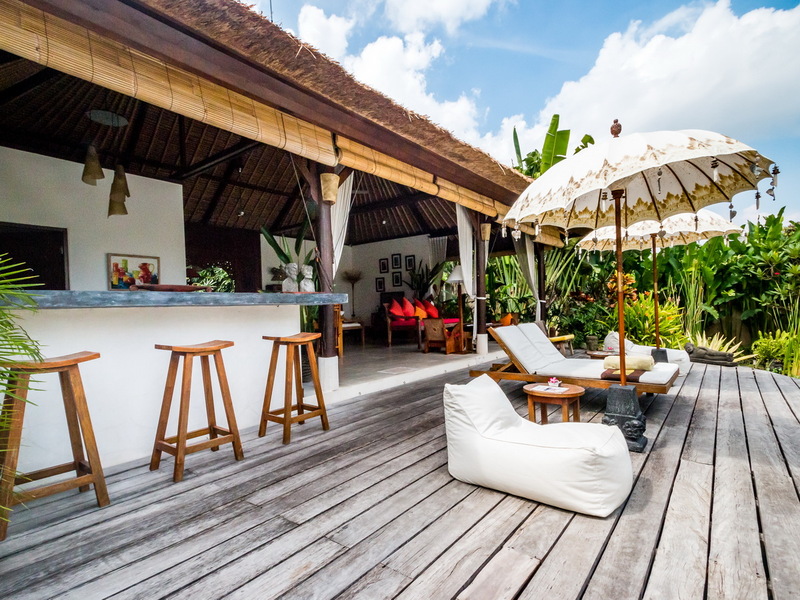 Villa Tibu Indah is a priceless 3 bedroom Canggu holiday villa rental tucked away in a serene rural area right in the heart of Canggu, Bali. 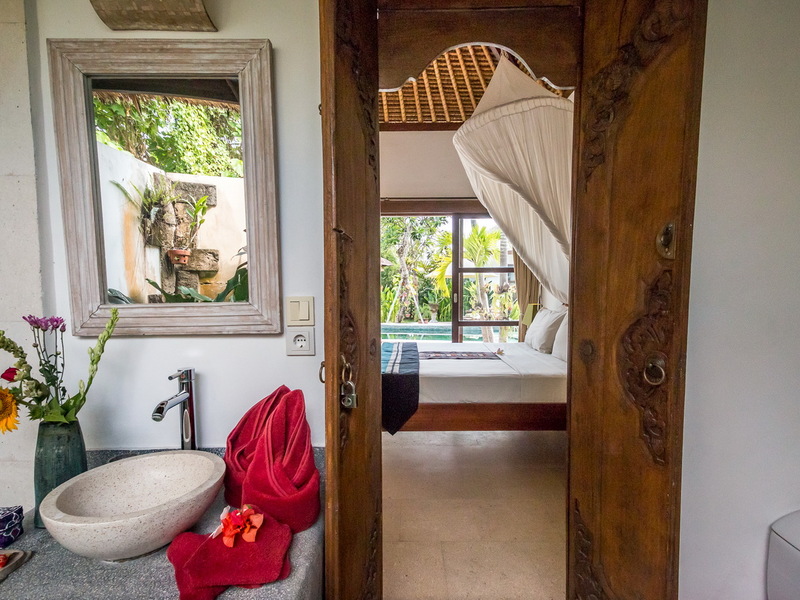 It is perfect for guests who want to experience the natural beauty of Bali yet still close to the restaurants and cafes in Canggu. 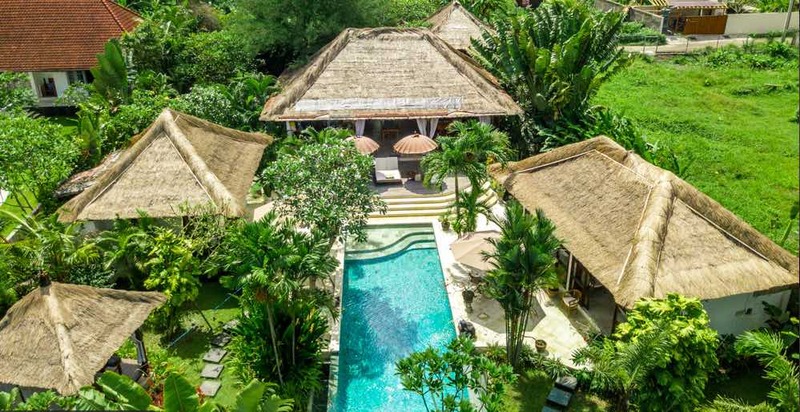 This three bedroom villa is surrounded by lush rice fields, beautiful Balinese temples, and its décor and style are traditional and absolutely stunning. 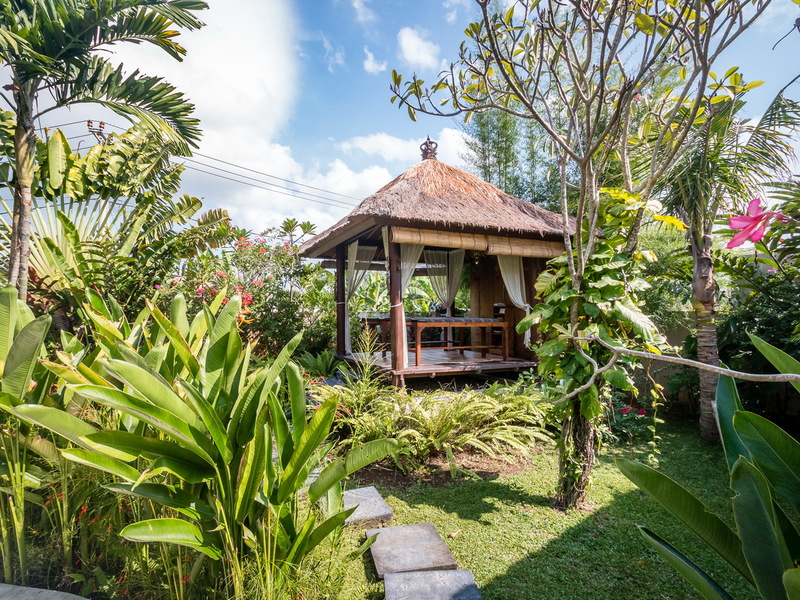 This is where you come to relax, unwind and experience the real Bali. 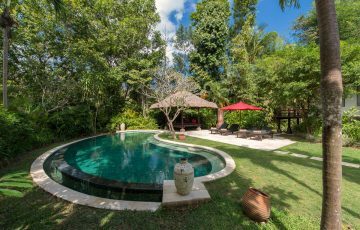 Once you step into the tropical paradise that is Villa Tibu Indah, you walk into a tropical haven that is like none other. 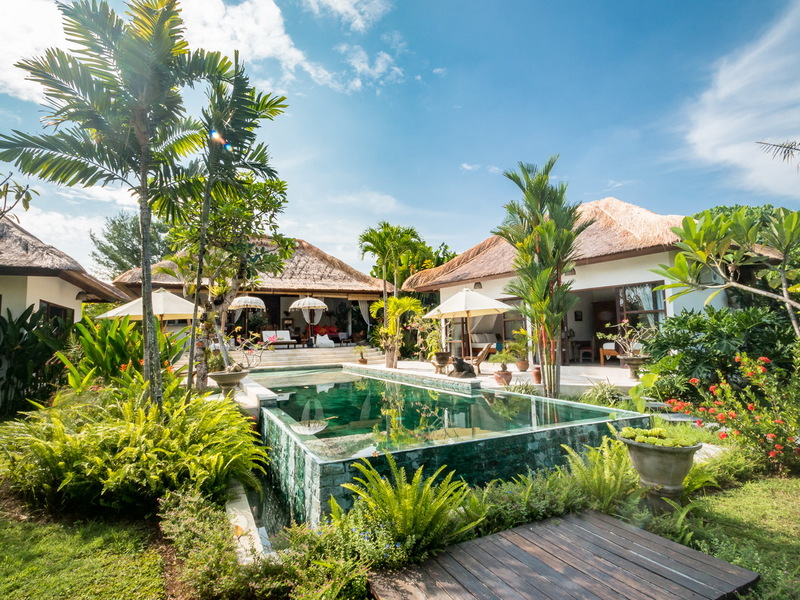 A beautiful, handcrafted Ganesha statue welcomes you from the entrance and guests are immediately enchanted by the tall palm trees, lush gardens and beautiful scenery. 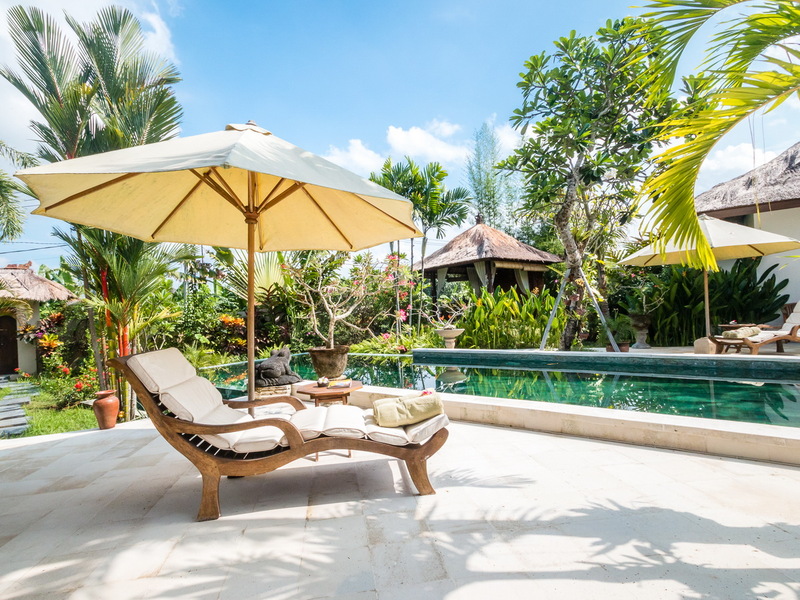 In the middle of all these lies a stunning pool and surrounding the pool are comfortable reclining chairs, beanbags and pool chairs. 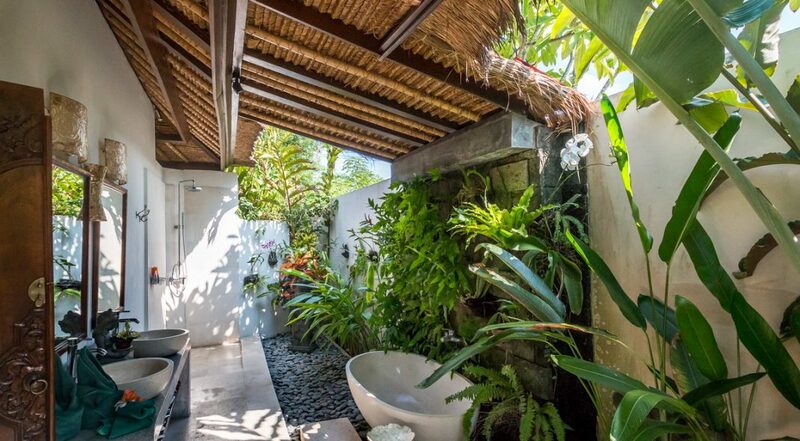 A stone path leads to a garden bale which is also perfect for outdoor relaxation. 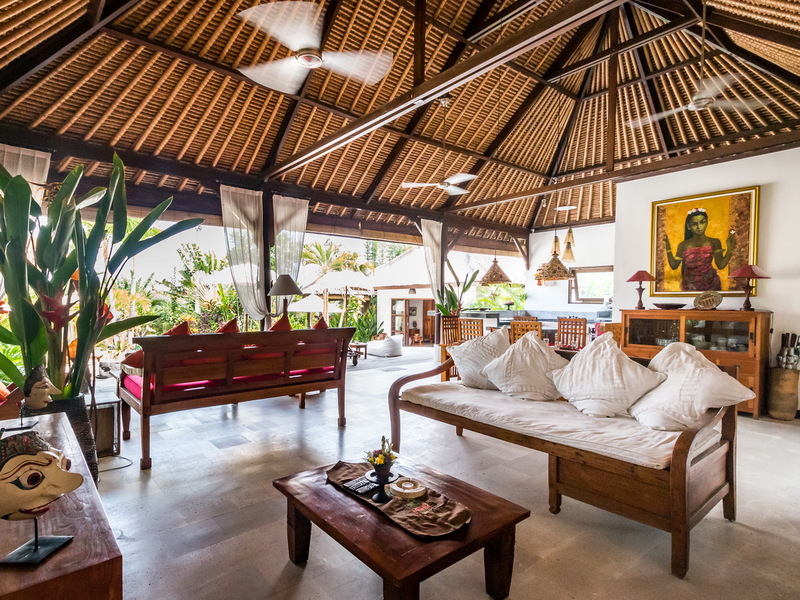 Villa Tibu Indah has a beautiful, traditional open plan living area which is housed in an open sided wooden building. 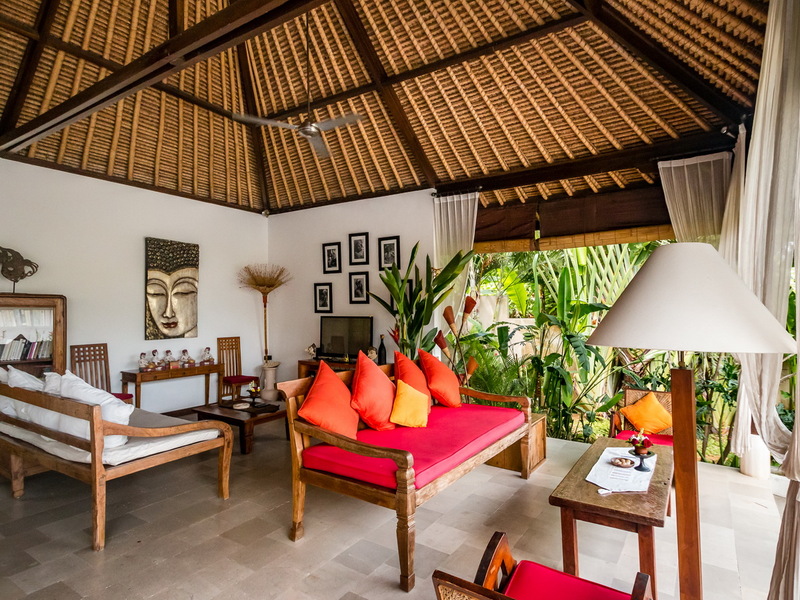 In the living area are comfortable wooden sofas, stunning Balinese portraits hanging on the walls, wooden furniture and small Balinese statues. Beside the sofa set is a lovely wooden dining set for guests to sit and enjoy their meals. 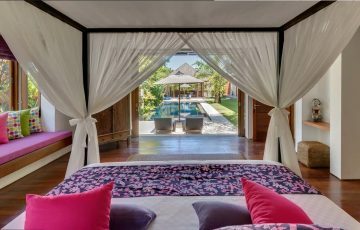 The open sides of the building allow guests to have a stunning view of the outdoors right from the comfort of the living room. 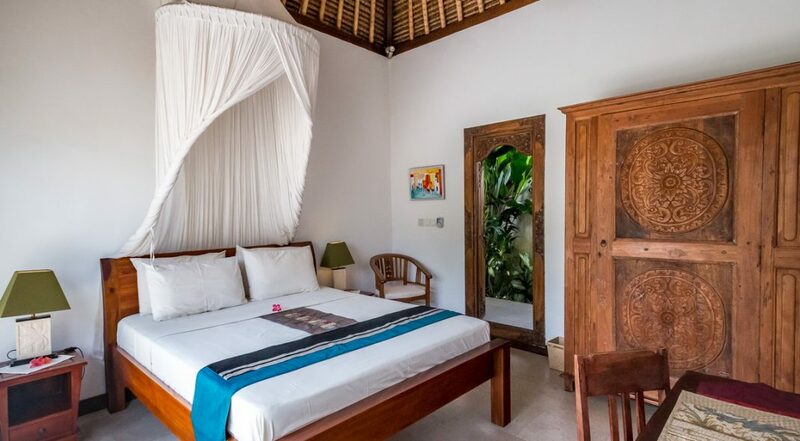 The villa boasts of three king sized bedrooms and each one is modern & fully air conditioned. 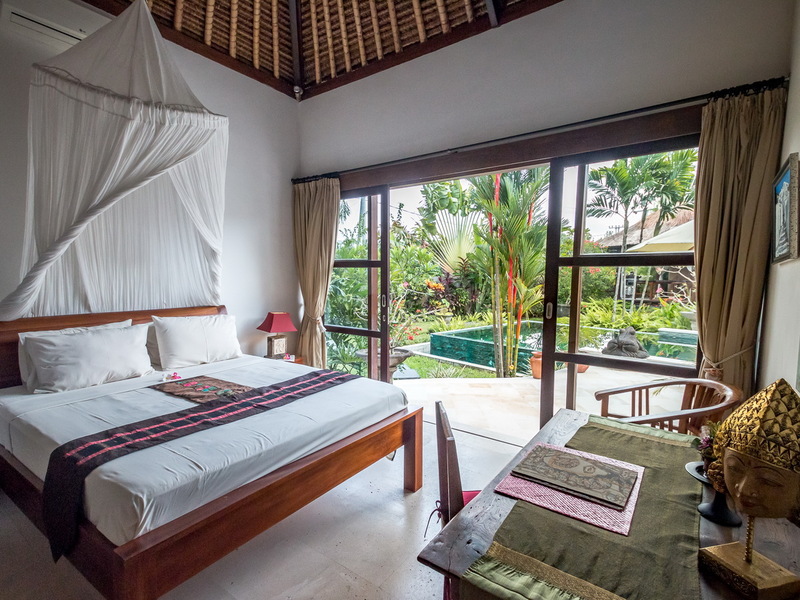 In each bedroom is a king bed, a chair, desk, lovely wooden furniture, miniature Balinese works of art and sliding glass doors that lead out to the garden and pool area. 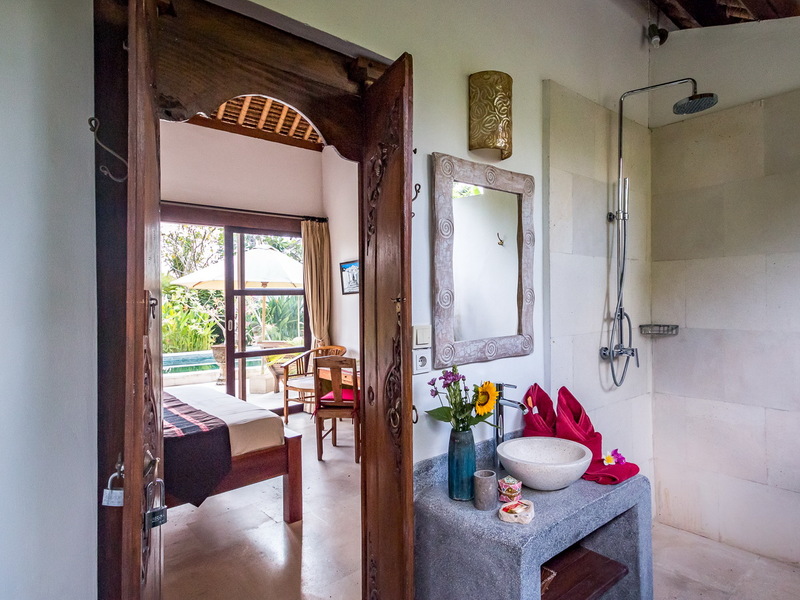 Each bedroom has it’s own private ensuite, ensuring that guests enjoy utmost privacy and relaxation all through their stay at the villa. 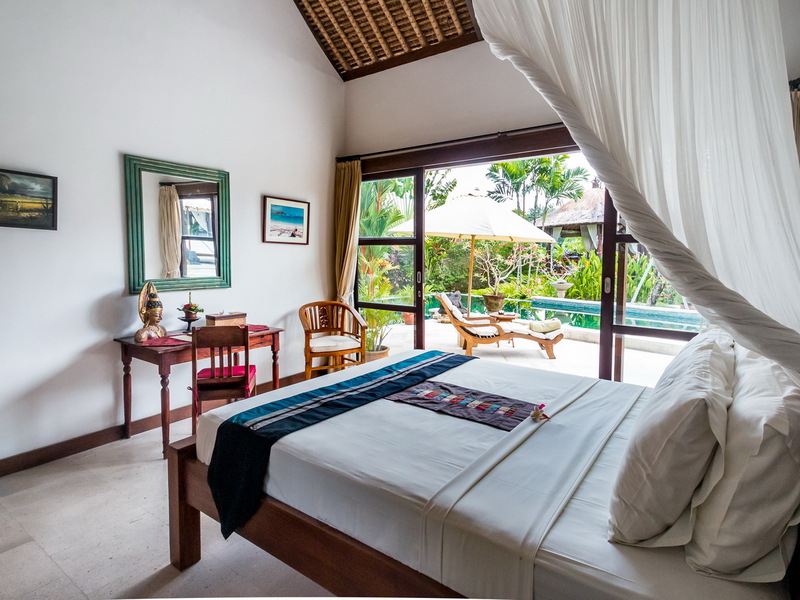 Villa Tibu Indah offers its guests free airport pick up, daily housekeeping, security, pool and garden attendants. 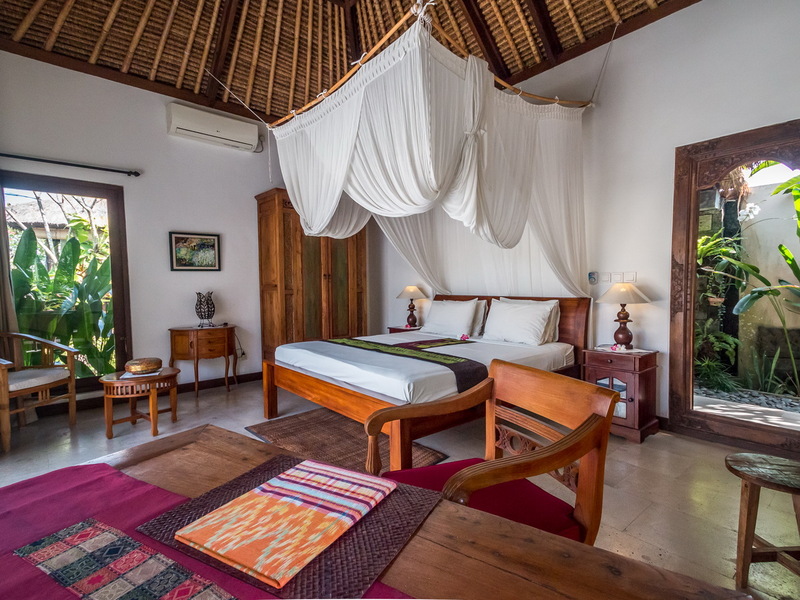 At a little extra cost, guests can enjoy the services of a seasoned chef, laundry, babysitter and an experienced masseuse. 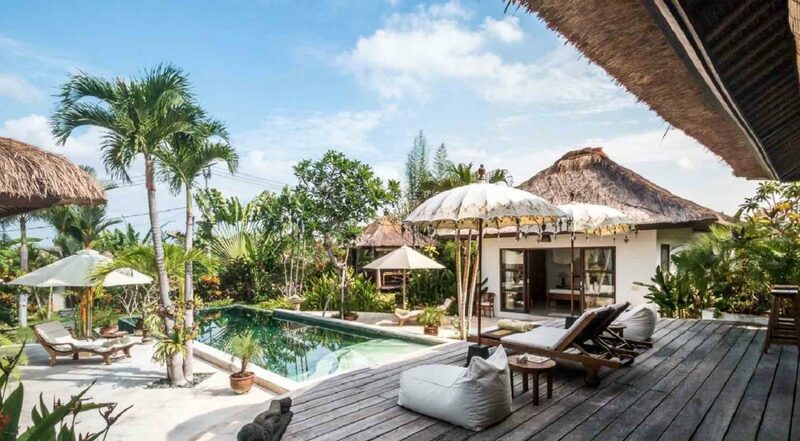 In the immediate vicinity of the villa are the stunning beaches ( Echo & Old Man’s) for which Canggu is famous for. 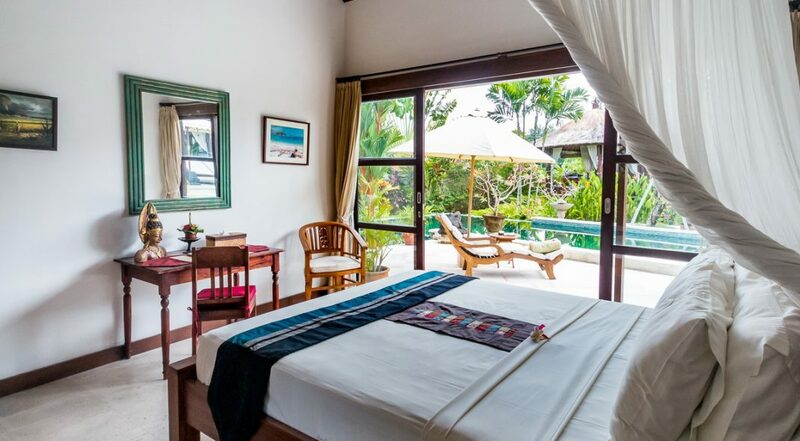 There are also really great cafes, restaurants and bars nearby, and guests can enjoy going sightseeing and exploring the stunning Bali temples and the other gorgeous tourist sites from the villa. 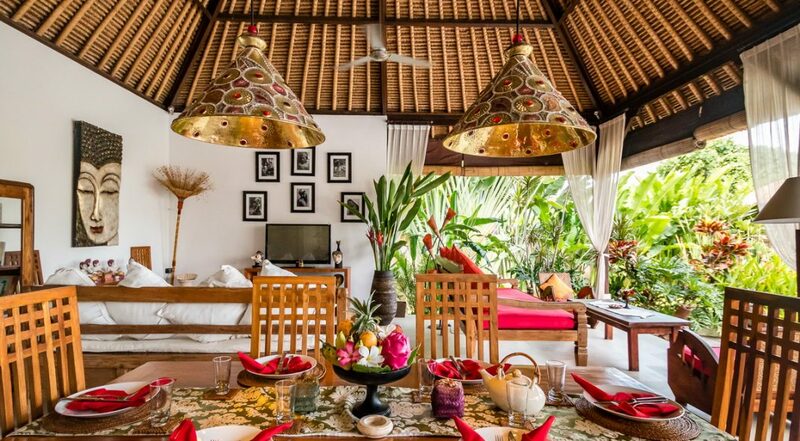 Make sure you go to Jalan Batu Bolong nearby for a great meal and some shopping. 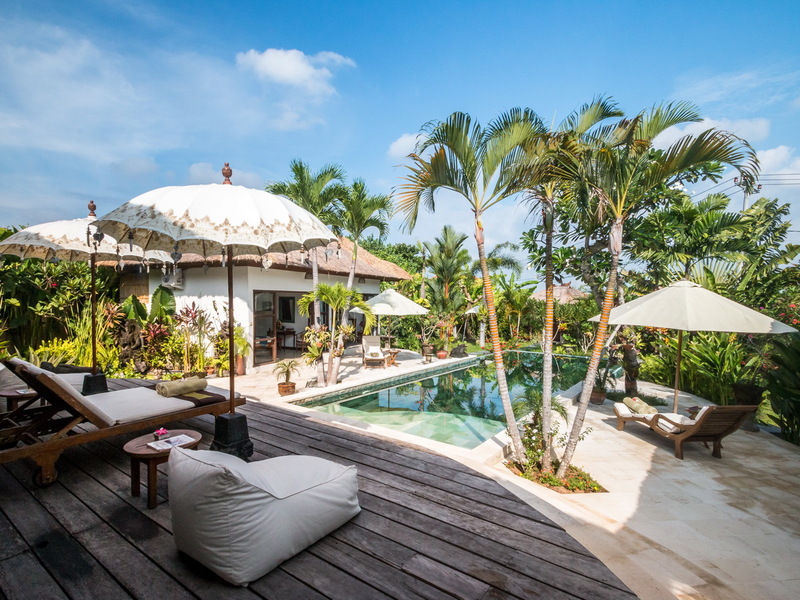 This is the tourist heart on Canggu. For the kids take them to the Finns Recreation Club where there are waterslides, trampolines & ten pin bowling. 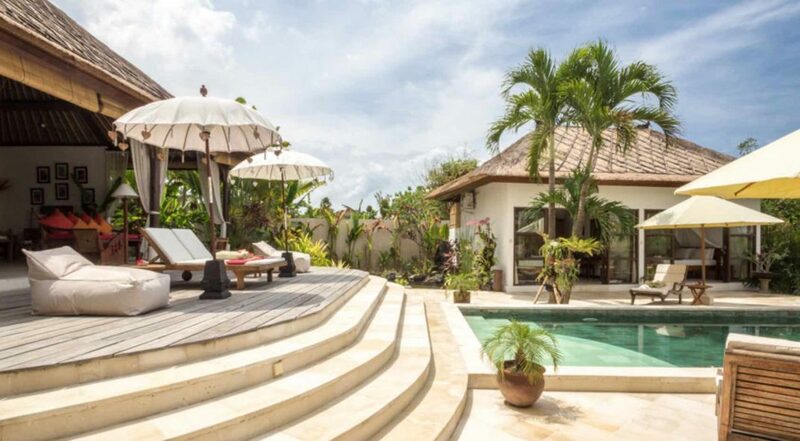 If you like the look of this villa but want to see other 3 bedroom Canggu Villas or our full range of Bali villas close to Echo Beach please contact our reservation team or browse this website. 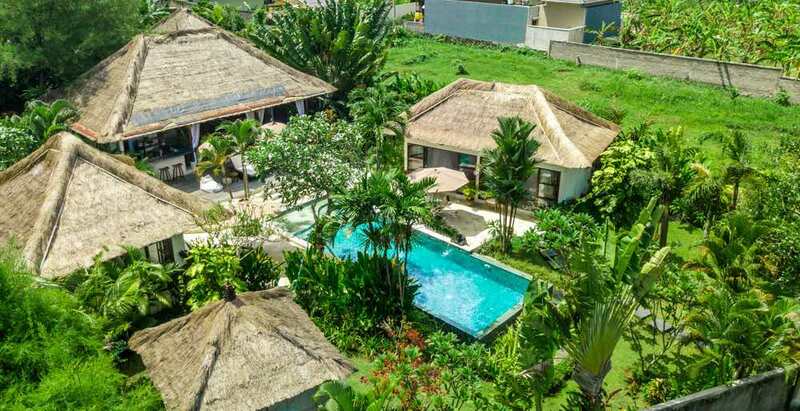 This is a popular Canggu villa so if your planning to come to Bali make sure you book Villa Tibu Indah well in advance, especially during Australian school and public holidays. 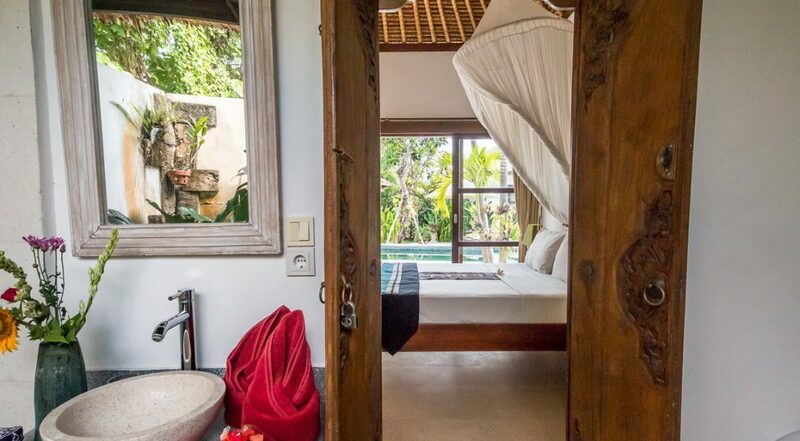 This was our very first stay at a Villa in Bali and we were wanting privacy, space and to experience what it's like staying in our own private villa - Tibu Indah awas amazing and we found it hard to leave the place even for a couple of hours down to Echo beach - the place had everything we could have wanted and we absolutely fell in love with the views, vibe and of course the staff who were there when ever we wanted anything - they even arranged a little birthday cake and party for our daughter who celebrated here birthday there - now that's real service. 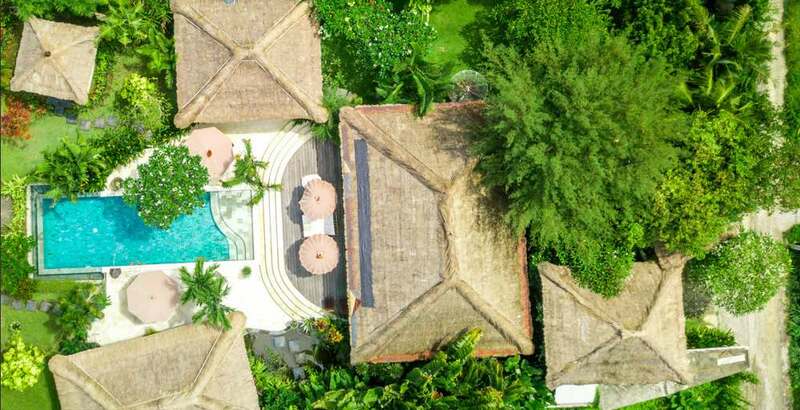 For value, location and the overall experience we are more than happy to give this villa a 10 out of 10. 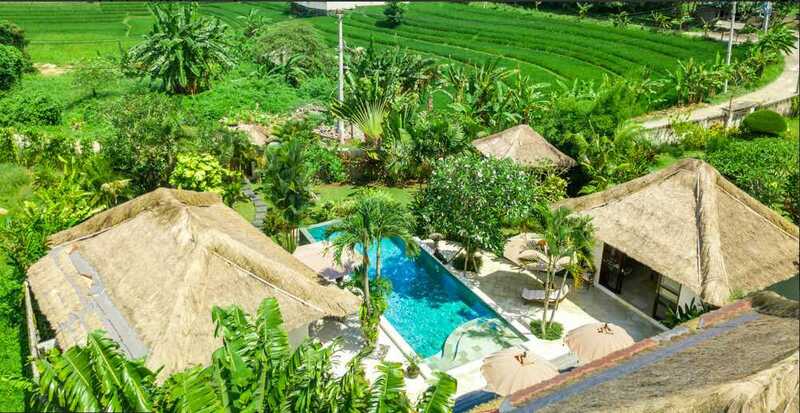 The villas is perfectly positioned right in the centre of the rice fields, which for our family was a first time experience. 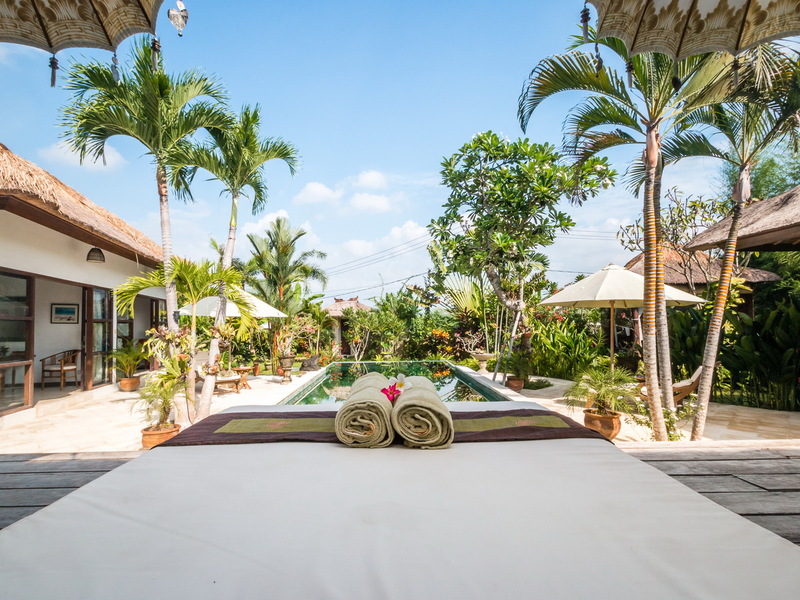 It was tranquil, very relaxing and the staff were the BEST! Smiles, breakfasts, tasty snacks for the kids when ever they wanted it, clean rooms, tidy bathrooms and happy smiles is what we got every day. 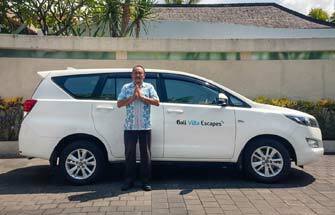 I want to thank the team at Bali Villa Escapes ( Dewi & Ina) for organising this villa for us so quickly. Everything was perfect! 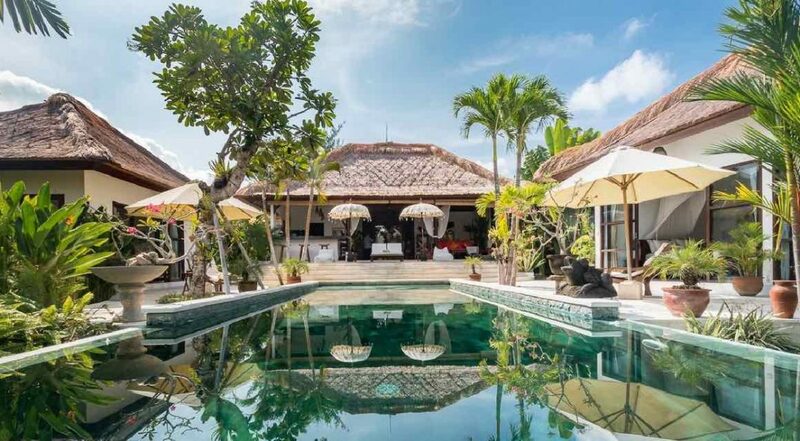 I am speaking for my family here when I say that I highly recommend Villa Tibu Indah. 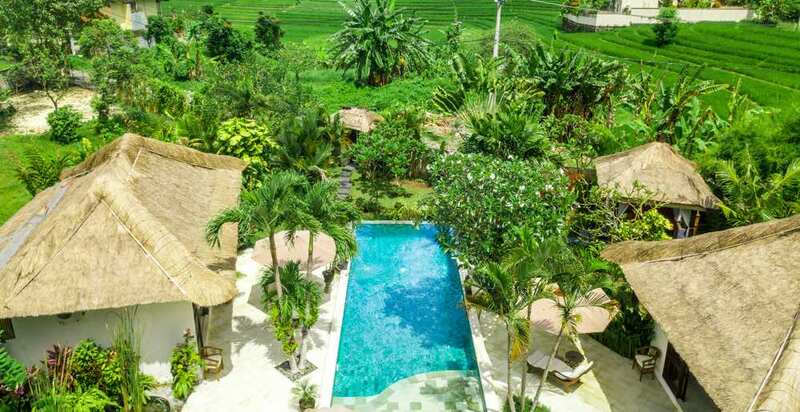 It's a wonderful oasis perfect to unwind with the family. 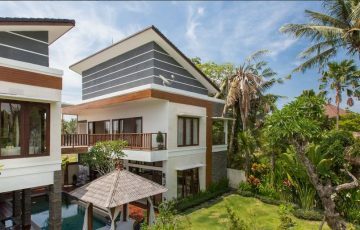 The entire villa is designed with luxury in mind. 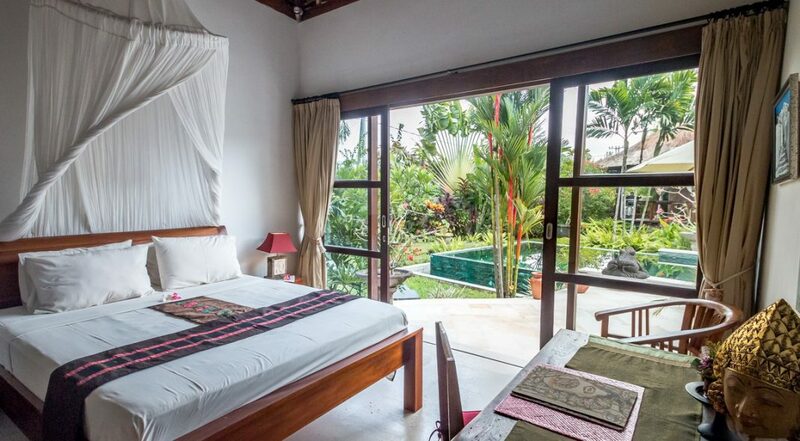 The 3 bedrooms are large and each had their own private bathroom which suited us. 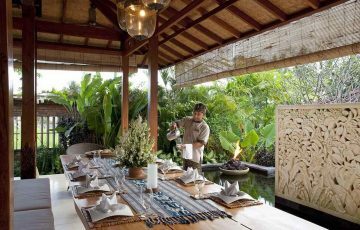 The villa staff were extremely professional and the tasty breakfast always prepared for us each morning with a large smile. 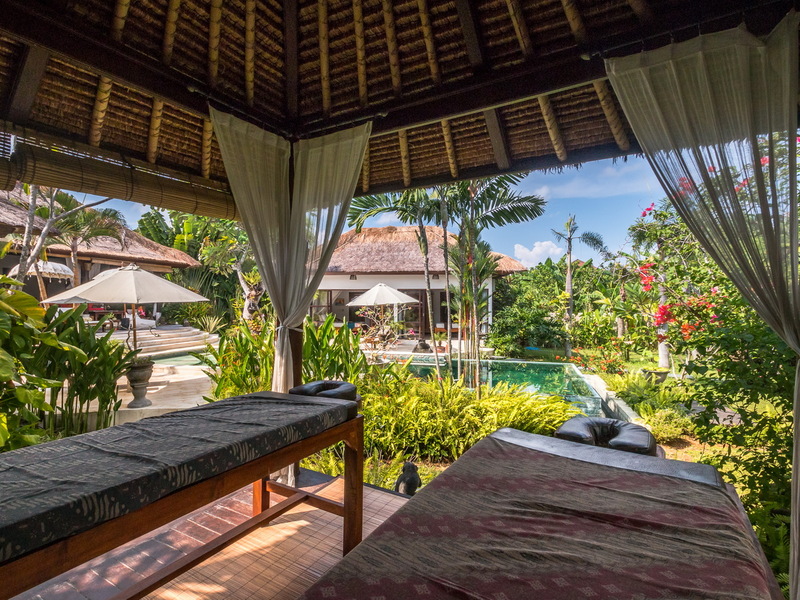 We had a wonderful stay in this Balinese villa and I want to thank Mr Bagus the manager for taking such good care of us. 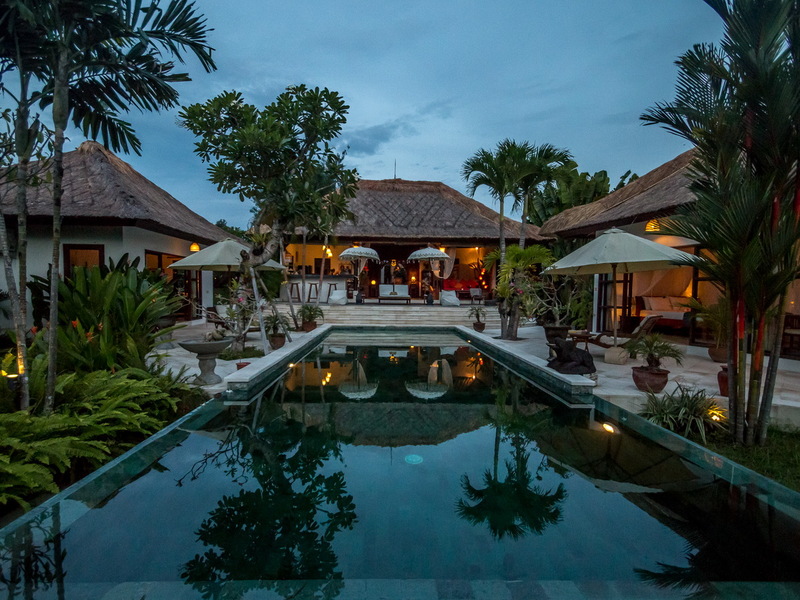 The Villa and the entire team of staff were sensational. The garden looked perfect and was so well maintained. Peaceful and really chilled out place. 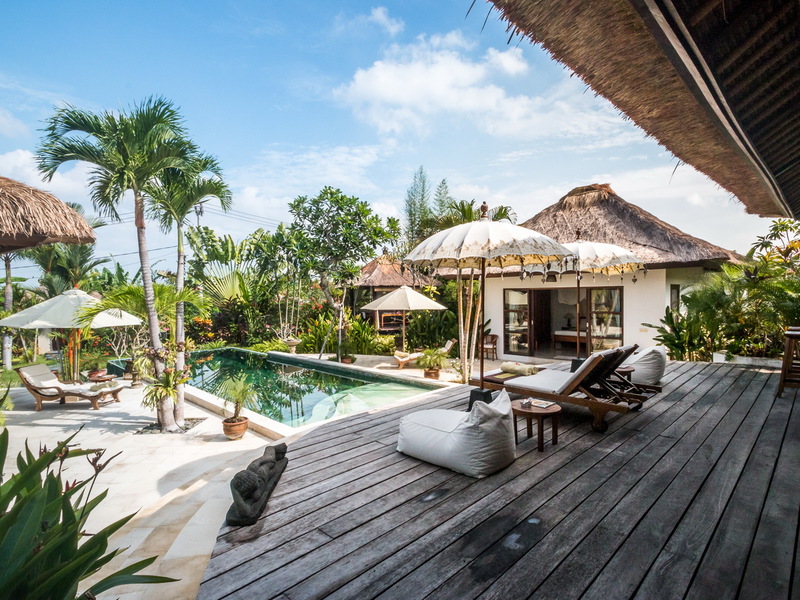 Close to Canggu for some shopping and we could easily get there. 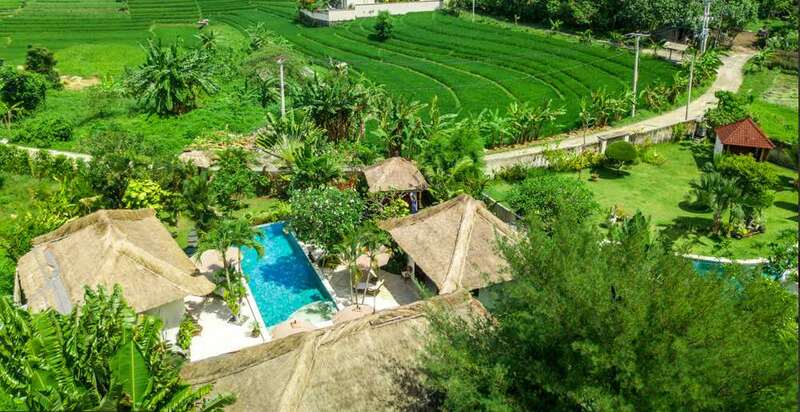 What an amazing location right in the middle of the rice fields. Smiles all over from the staff and especially from us! 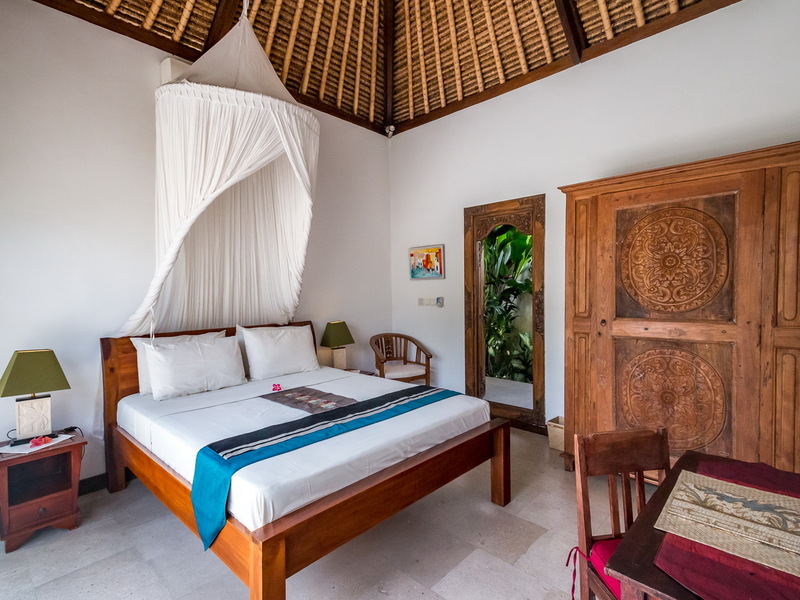 Spacious and really pleasant villa with clean rooms and comfy beds. 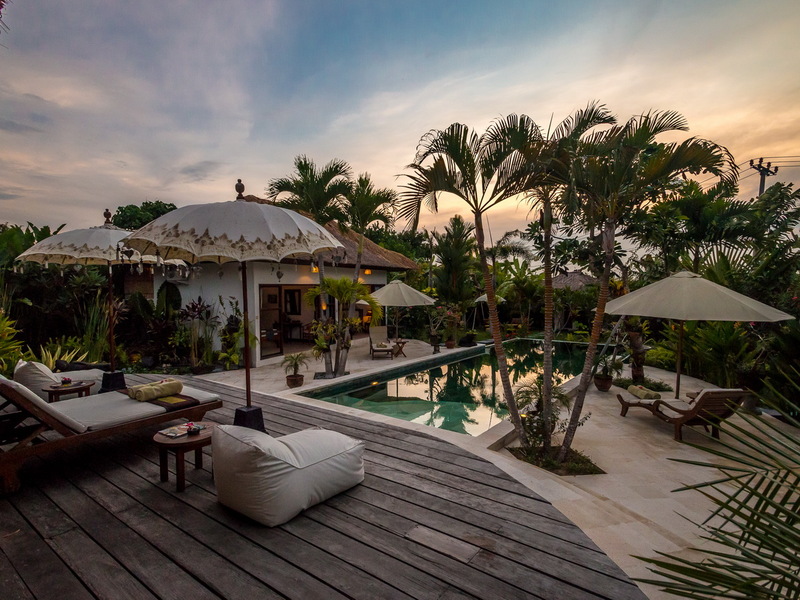 A gorgeous villa. 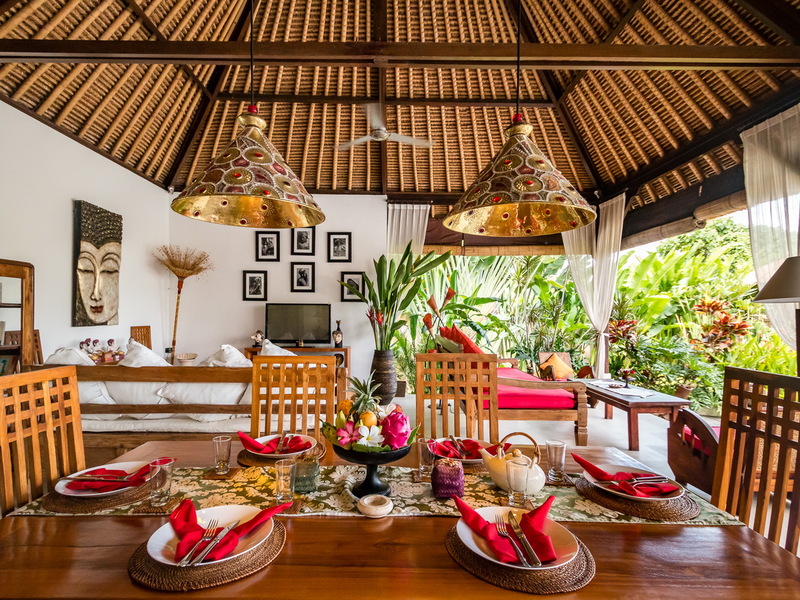 Our family loved the Villa Tibu Indah! What a gorgeous place. 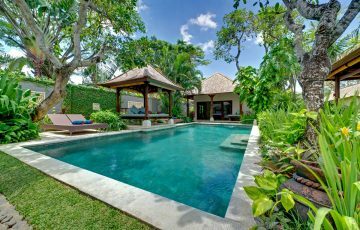 Bagus and his team of villa staff was very helpful and friendly. 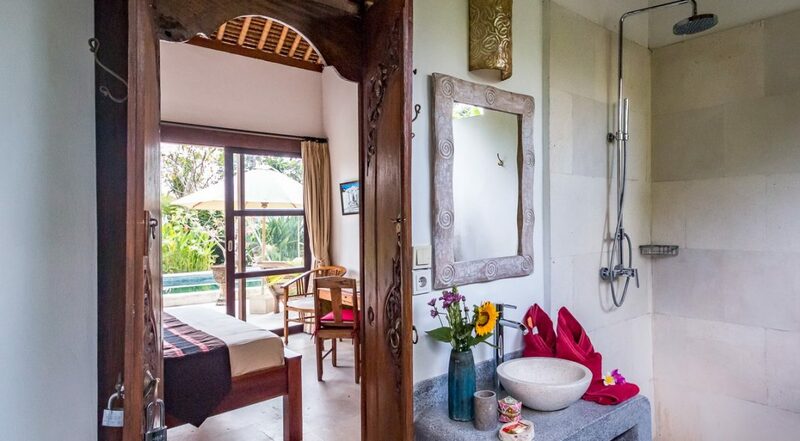 As first timers to staying in a villa we loved the privacy and having our own pool. 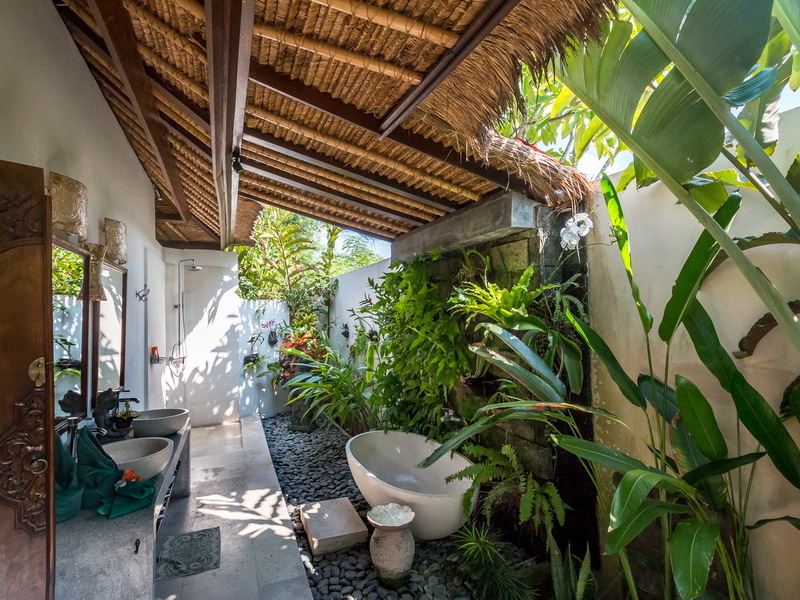 Super comfy beds and large rooms were also a highlight but the real treat was the outdoor shower. We had an amazing time with our children. 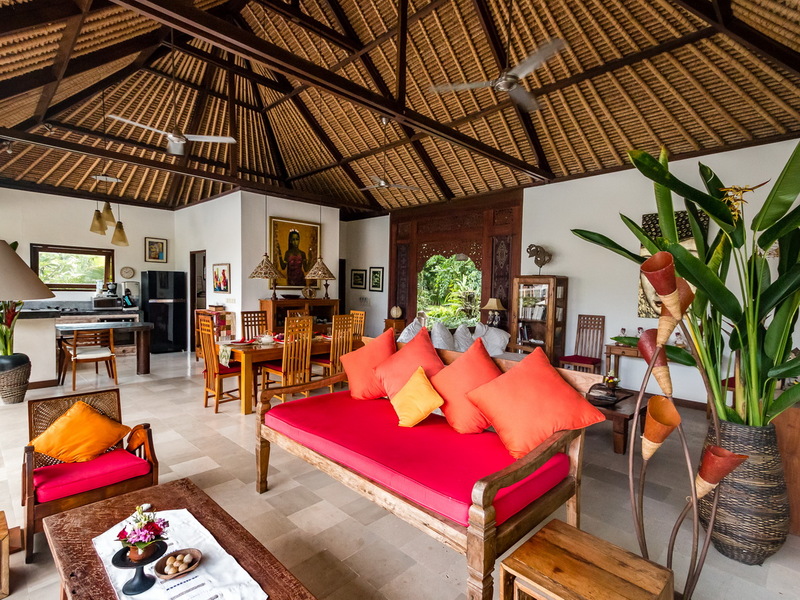 We highly recommend this villa to anyone wanting a relaxing place to spend quality time with the family.